This stamp workshop is fun and easy for all crafting levels. We will be making 2 each of 3 Birthday cards. Birthday Cupcakes and refreshments will be served. We will learn basic heat embossing and I will show you some variations. Introducing: LuLu’s Crafty Stamping Rewards! You already know, if you make a $50 purchase from any current catalog, your workshop is free, right? 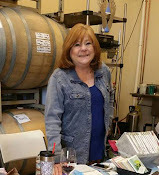 I am now tracking your workshop participation, referrals and purchases (total value of $250 or the equivalent of 10 workshop), retroactive to January 1st, 2019. I will be posting the rules on this website soon. Sale-A-Bration Promotion. For every $50 you spend you get a special gift with purchase from the Sale-A-Bration brochure, no limit. Did you get the Occasions & Sale-A-Brations in the mail from me? If not, call me (number below) and I will hustle one over to you right away! 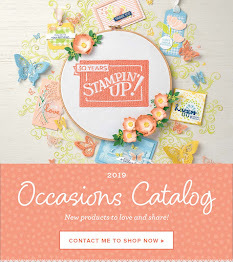 No additional purchase required, but you if you purchase $50 in Stampin’ Up Products from any current catalog, your workshop is free! any current catalog, your workshop is free! Plus you will get a free product from our Sale-A-Bration Catalog for every $50 you spend. Limit 6. Must RSVP to hold your spot – so grab a friend and come make something fun. * Classes suitable for those 18 yrs+ unless otherwise stated or arranged in advance.